According to fresh figures that were published on Apple’s App Store dashboard for developers yesterday, iOS 12, the company’s latest and greatest mobile operating system, is now running on 80 percent of all active iPhone, iPad and iPod touch devices in the wild. Moreover, the software update is now powering 83 percent of all iPhone, iPad and iPod touch devices that were introduced in the last four years. 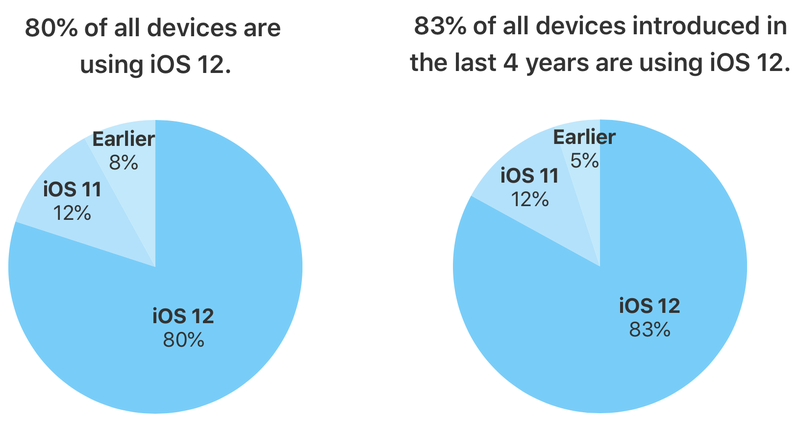 At the same time, iOS 11 installations dropped to twelve percent while older versions of iOS occupy a five percent share of all the devices released in the past four years and eight percent of all compatible devices. Apple has derived these numbers from App Store access logs on February 24, 2019. 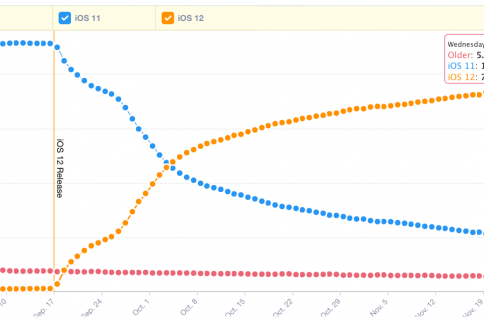 Back in January, iOS 12 powered 78 percent of all devices released in the past four years so adoption rates grew by five percentage points over the course of the last several weeks. 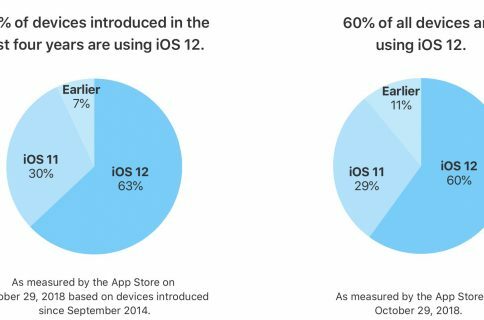 The previous update to iOS 12’s adoption rates, dated January 2. 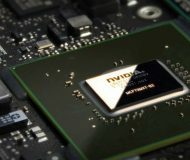 While iOS 10 took about the same time to reach 79 percent of active devices, its successor iOS 11 enjoyed a slower adoption, having reached 81 percent of devices by June 2018.
iOS 12 has seen some pretty encouraging uptick following its release in September 2018 due to the software’s strong focus on under-the-hood improvements meant to improve reliability and performance, especially following the previous bug-ridden updates, iOS 11 and iOS 10. Meanwhile in the Android world, the major software updates released in the past three years (Marshmallow, Nougat and Oreo) cumulatively power 71 percent of Android devices. 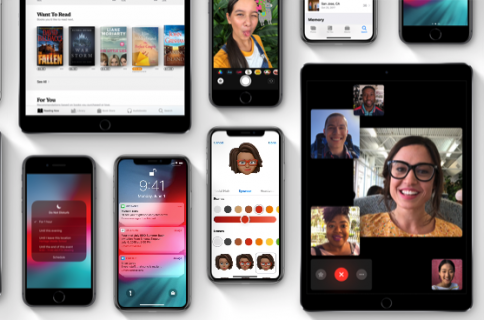 Apple said on the last earnings call with analysts that it has 900 million active iPhones and a whopping 1.4 billion active iPhone, iPad and iPod touch devices in the wild. Are you using iOS 12? If so, how satisfied are you with it?